Here at inhomsafetyguide.org, we think wireless systems are way cool, but we also believe very strongly in keeping you informed, which means sharing the dangers that are associated with these new systems. When it comes down to it, wireless systems can be hacked. Although many burglars prefer the simplicity of breaking into a home without any system at all, for computer-savvy thieves, breaking into a home is easier than ever before. Instead of breaking into a window or prying the door open, they can literally just hack into your system and let themselves in without sounding the alarm. We bet you’ll be surprised to learn all the ways a hacker can affect your home security system. The most common way thieves manipulate electronic systems is by providing themselves with unauthorized access. They can deactivate systems so an alarm isn’t sounded when they sneak in through the window. If you have electronic locks, a skilled burglar can unlock the front door to gain access to your home. Hacking garage systems is an especially popular choice with many burglars because most homeowners don’t lock the door between the house and the garage. So, maybe a thief can’t quite figure out how to gain easy access to your home. The next best solution is to delay authorities. The best way to do this is to sound a particular alarm over and over again within a short period of time. That way, when the thief sounds the alarm for real, the homeowners and authorities just think the system is on the fritz again. This one is definitely the most unlikely, but it isn’t an impossibility. It is unquestionably the most malicious thing a hacker can do with a wireless system. By tampering with a system, a hacker can manipulate heating and cooling systems until they become fried. If your home has appliance control devices, they may even be able to start a fire in your home. It’s a great way for them to cover their tracks after a burglary. Every wireless home security system is at risk. As a matter of fact, an encryption flaw has been identified that makes even the big name SimpliSafe vulnerable to hackers. The good news is that you don’t have to give up on your wireless home security system just yet. Before choosing a system, speak extensively with customer service representatives about how their particular company guards against these kinds of scenarios. Make it a part of your shopping list when looking for the perfect system. If you’re still feeling a little worried, minimize the things in your home that you automate. Skip the electronic front door and don’t automate any of the appliances or systems in your home. Always remember to lock the door between the garage and the house. One great way to keep burglars at bay is to use cameras. Place them in areas of your home where they can easily be seen. If a burglar knows that he’ll be recorded, even if he gains easy access to your home, he will be less likely to break in in the first place. Beating a hacker at his own game by being equally as electronically savvy is a great option too. Click here to learn more about antivirus software, secure routers, and more. 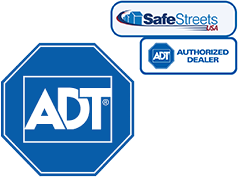 Ultimately, wireless home security systems can make your home safer. Just make sure you follow our tips so your system doesn’t end up being the Achilles heel of your home.